Cut-Price? AirAsia Online More Expensive than Qantas, British Airways and Singapore Airlines ..
Holiday Airfare Survey was conducted on Wednesday 23rd of November, with all Singapore-Perth return flight searches being made online 10am - 5PM. In each instance, the lowest economy fare offered by each airline was the one selected and featured in the survey - all fare data was taken from each airline's own website, not from airfare aggregators such as Expedia.com. For all holidays there was a standard departure date of 05/12/2001 and return of 31/12/2011, though the actual arrival and departure times obviously differ among the various operators, kept within 24hours. 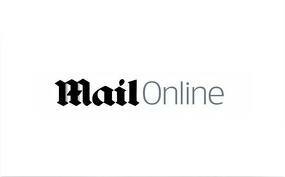 Screen captures at the base of this article will evidence each fare. The Holiday Airfares Survey has revealed opportunistic low-cost operators are frequently more expensive than full-service airlines like Qantas and Singapore Airlines. We conducted our study and discovered that AirAsia hiked their holiday airfares so high, the no-frills operator is now more expensive than the top-shelf full-service carriers. What's most amazing about AirAsia slugging families with this artificially inflated holiday fare is that it doesn't even offer a direct flight to our first sample holiday survey destination - Singapore to Perth. The unfortunate AirAsia passengers are held captive in transit for a good part of a day in KL. Regardless of this less than ideal schedule and cattle-class transfer, the fare is SGD $300 more than reputable full-service airline, Malaysia Airlines. As explained by a guest on Tripadvisor: "If you check, most of the airlines are full-service - and among the most awarded airlines in the world. They don't demand extra fees in addition to the booking for seat allocation, stowed luggage, food and drink, et al. The MOST expensive holiday fare on the sample routes by a considerable margin was the 'cut-price' - AirAsia - boasting fares that include none of the comforts/necessities of the full-service outfits. So, why are they so much more darned expensive?" The respected full-service carriers - but not MAS - all offer direct flights. As AirAsia is not able to offer a direct flight, could that perhaps explain why it is more expensive than other airines? Well, another 'cut-price' airline in the survey is Tiger Airways, which also has its own stopover on the Singapore to Perth route, yet its fare is one of the lowest in our pre-holiday survey. 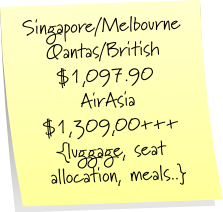 Currently, there is an AirAsia Singapore campaign touting new year flights to Melbourne and Perth from SGD $189, as opposed to their current holiday gift to you, where you pay SGD $932 for no legroom and crap service. How many $189 flights do they actually release for sale to the public, hmm? Malaysia Airlines are offering the lowest fare of ALL the carriers, albeit with a short stopover under an hour and a half. Should we applaud MAS? Well, let's just say fares like this wouldn't have occurred before the recent takeover of Malaysia Airlines by the politician-laden board of AirAsia. Rest assured, 'Teflon Tony Fernandes' and Malaysia's bent politicians are already showing telltale signs of what they have in store for the two former Malaysian competitors. Stay tuned for our new expose in the next issue - our special Christmas follow-up to our original AirAsia scam report. 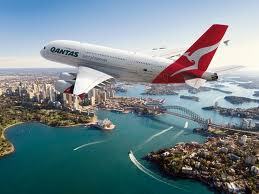 The Australian Competition and Consumer Commission (ACCC), an equivalent of Malaysia Competition Commission (MYCC), has filed a lawsuit against AirAsia for failing to disclose the full air fare in its website for the following flights: Melborune and Macau, London, Ho Chi Minh City, New Delhi, Hangzhou & Chengdu, Perth and Taipei, Phuket, Osaka, London, Ho Chi Minh City and Hangzhou, Gold Coast and Ho Chi Minh City. The suit has been scheduled to be heard on 2nd March, 2012. 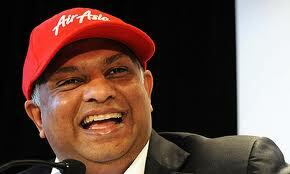 It has been the business model of AirAsia for not disclosing the full air fare in its website. There are many ancillary charges / hidden charges like BOOKING SERVICE FEES RM30, CONVENIENCE FEES per passenger per sector RM8, FUEL SURCHARGE RM90 & etc. Passengers are charged per minute for calling AirAsia to check on their booking or refund and etc. Whilst many critics in Malaysia are not convinced that MYCC will go the whole hawk in its investigation into the secret MAS-AirAsia share swap and Comprehensive Collaborative Framework (CCF), the brainchild of En Mohammed Rashdan Yusof aka Danny (Rashdan), the former business partner of Tan Sri Azman Mokhtar (Amok) when they were in BinaFikir Sdn Bhd. In 2008 BinaFikir Sdn Bhd was sold to Maybank Bhd for RM8 million. By the way, Maybank Bhd is a GLC, which Khazanah Nasional Bhd (Khazanah) has a substantial share. Of course, co-incidentally Amok was and still is the Managing Director of Khazanah when the said RM8 million sale took place! After a short span of time, Rashdan “left” BinaFikir Sdn Bhd. Amok waste no time but took his crony and former business partner, Rashdan, into Khazanah and placed him as the Executive Director of Investments of Khazanah. After the said secret share swap was inked, Rashdan was put in charge of MAS until September when En Ahmad Jauhari Yahya took over as the Managing Director of MAS. Then we saw how Rashdan singlehandedly spent RM18 million to sponsor QPR home Jersey for 2 years when MAS was “BLEEDING” in , cancellations of full load Firefly flights during Raya season, termination of Firefly profitable routes from JB to Kota Kinabalu and Kuching. Incidentally, AirAsia is flying to these two destinations too. Yours truly understands why the critics felt that way. Perhaps they have seen how the Security Commission (SC) and Bursa KL have been dragging its feet in its investigation into the said secret share swap. However, yours truly is prepared to give MYCC, which is headed by YA Tan Sri Siti Norma Yaakob, former Chief Judge of Malaya, a chance to perform its national duty to safeguard the interests of all Malaysians. Yours truly believes that after the suit has been filed by the ACCC in Australia for misleading pricing, which was a cause for concern in Malaysia, there will be more suits filed in other jurisdictions in UK, Japan, Korea and India. If ACCC were to win its suit in Australia against AirAsia, it will be extremely difficult for MYCC to give it a clean bill of health. Parliament will be sitting in March, which is two months away. Yours truly will table questions on the investigations by MYCC, SC, Bursa KL and PAC on the said secret share swap and CCF and other related matters. Tel Aviv has been named the world's number one gay city. The Israeli metropolis beat out competition from New York to top a survey carried out by American Airlines and GayCities.com to find the most popular destination for gay travellers. It landed a staggering 43 per cent of the vote, way ahead of runner-up New York's 14 per cent and third-placed Toronto with 7 per cent. Sao Paolo came in at four with 6 per cent, while rounding out the top five with 5 per cent each were London and Madrid. GayCities described Tel Aviv as 'the gay capital of the Middle East is exotic with a Mediterranean c'est la vie attitude'. Tel Aviv Mayor Ron Huldai hailed his 'free city' and said he is proud of the survey results. He wrote on his Facebook page: 'Victory in this competition further highlights the fact that Tel Aviv is a city that respects all people equally, and allows all people to live according to their values and desires. Users of the GayCities website were asked to submit their votes in a number of categories, including Best City Of 2011. The site did not reveal how many people voted. New York did, however, win the title of Best Nightlife City with 32 per cent of the vote, followed by London with 14 per cent and Madrid with 12 per cent. San Francisco, long regarded as the gay capital of the U.S., may have missed out on a mention in the Best City poll, but was named the Best Pride City with 29 per cent of the vote. Sao Paolo and Toronto came second and third with 17 per cent and 12 per cent respectively naming the cities as having the best annual gay parades. Perhaps unsurprisingly, Paris was named Best Food City ahead of New Orleans and San Francisco. GayCities users named New York the Best Dressed City, with London in second place and Rome trailing in third. 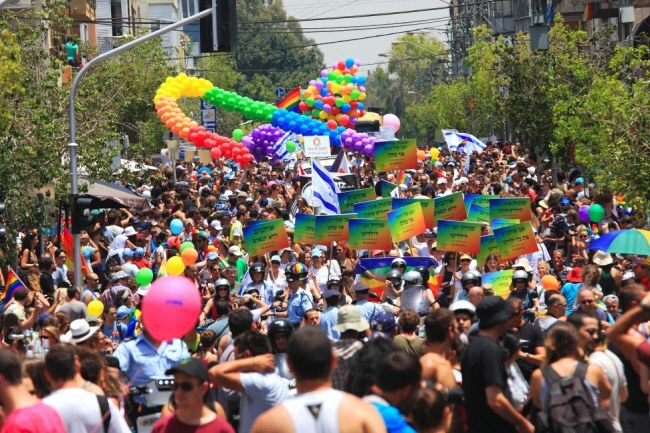 Gay and lesbian life in Tel Aviv is perhaps the most vibrant in the Middle-East, mainly attributable to the fact the gay community in Israel enjoys political freedom like in no other country in the region. 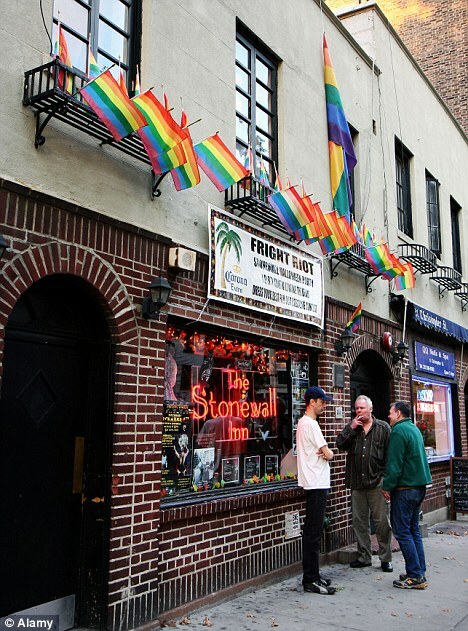 Every June since 1998, the city has hosted a series of gay-themed events ending with the annual Gay Pride parade. For year-round areas of interest, website GayTLVGuide.com recommends Rothschild Boulevard, which it describes as a 'buzzing centre of entertainment' with several gay bars and clubs. The city's most famous gay-orientated area is Shenkin Street, a road that 'seems to stretch out forever'. Qatar and Israel alliance to destroy fellow muslim nations of syria and Iran? KUCHING (Nov 17, 2011): The recent MAS-AirAsia share swap joint agreement has a negative impact on Sarawak and the tourism sector, Assistant Minister of Tourism Datuk Talip Zulpilip told the state assembly today. “The lack of public information of future plans between MAS and AirAsia has also created anxiety among industry players and many Sarawakians,” he said, adding that it has caused concerns and speculations about the rationalisation. “Further, of late, Sarawak has experienced cancellation of flights and this has caused inconvenience to the public,” Talip said when replying to questions from Wong Ho Leng (DAP-Bukit Assek) during the question and answer session at the assembly. He said the termination of Firefly’s operations from Kuala Lumpur-Kuching-Kuala Lumpur and Johor Bahru-Kuching-Johor Baru, since Oct 31, has, undoubtedly, caused a vacuum. “The state has communicated our concerns and displeasures to the federal government on the lack of communication and consultation on the share swap and the termination of Firefly service,” Talip said. He said the abrupt cancellation of Firefly's service, after the announcement of the share swap collaboration between MAS and AirAsia, did not augur well for the state. Talip also said that the state government has initiated dialogues and meeting to seek opportunities for foreign airlines to operate into Sarawak. “The state government, through Malaysia Airport Holdings Berhad (MAHB), has offered attractive incentives such as three years free landing and parking frees and marketing support for the new airlines. “The state has no intention to start its own airlines, but nevertheless, it remains an option,” he said, adding that the state administration is also looking at various other options, including the positioning of MasWing as a regional airlines to service Sarawak, Brunei, Sabah and the BIMP-EAGA region. He said a special delegation, led by the Tourism Minister Datuk Amar Abang Johari Openg, to the federal authorities will convey the state’s intention on the matter. KUCHING: Route rationalisation following the share swap between MAS and AirAsia continues to haunt Sarawak’s tourism sector, dampening the mood at the prestigious 4th Sarawak Hornbill Tourism Award. The reduction of flight frequency to the state became the main talking point at the gala dinner. Tourism Minister Datuk Amar Abang Johari Tun Openg said the announcement that Firefly would reduce flight frequency and gradually cease flying to Sarawak would bring down the number of arrivals as the year came to a close. “To Sarawak, air connectivity is a very critical factor in pushing up arrivals and I regard it as a bloodline for the industry,” he said when representing the Chief Minister Tan Sri Abdul Taib Mahmud at the dinner on Saturday. Johari said the state government would continue to take up the matter with the relevant authorities at the federal level. That aside, he said, it was his hope that MASwings would be the solution to the problem if it could be developed into a regional airline. He believed that MASwings could service East Malaysia and cover the BIMP-EAGA area as well as extending to four other hubs, namely Singapore, Hong Kong, Bangkok and Bali. Earlier on, Tourism Assistant Minister Datuk Talib Zulpilip, in his address, said the situation in the state was getting worse following the route rationalisation. Despite this, however, the state, according to Johari, can still take comfort from the fact that the success rate of Sarawak Convention Bureau’s (SCB) bid has been growing year on year, reaching an impressive 70% in 2010. “In this highly competitive global market, Sarawak has bid successfully against some of the world’s top convention cities from Europe, Australia and North Asia. “To date SCB has secured a total of new 172 conventions, which are expected to generate 287,000 delegate days and RM180mil in direct delegate expenditure for the state,” he said. He said already for 2013, 14 international conventions had been confirmed and this would see over 6,000 delegates attending. He also said that despite consumers cutting back on travel due to the global economic crisis, leisure travel would continue to account for the greater portion of the travel retail with revenues three times higher than corporate travel. 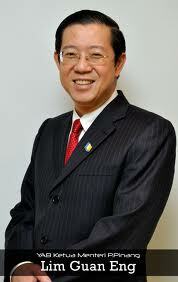 According to him, leisure travel has been predicted to top US$600mil (RM1.8bil) in 2015. “Leisure travel proved to be more resilient during the economic downturn with holidays remaining one indulgence for consumers during a recession although numbers declined as consumers opted for fewer breaks,”he added. The abrupt resignation of its managing director and the recent MAS -AirAsia alliance is likely to see the airlines running into turbulence. PETALING JAYA: The abrupt resignation of Fiirefly boss Eddy Leong Chin Tung has raised questions on the future of the airlines. 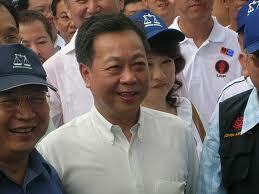 A think-tank, Research for Social Advancement (Refsa) claimed that Leong’s departure was rushing Firefly’s demise. “A rushed departure like this can only severely impair the morale of the remaining staff at Firefly,” Refsa said on its website. Firefly now flies domestic routes and also to Singapore, Thailand and Indonesia. It added that Khazanah Nasional, which currently has a combined 48.87% stake in Malaysian Airlines Berhad (MAS), was also “facilitating” Leong’s leaving by putting him in Destination Resorts and Hotels, a Khazanah-owned company. 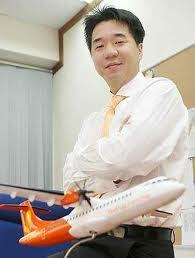 Firefly is a wholly-owned MAS subsidiary, of which Leong was its managing director. 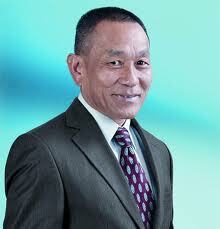 According to a Star report, he was also the fourth top MAS executive to quit in recent months. Additionally, a Sun report speculated that Firefly would cease to exist by April next year, and that the carrier’s current air service license will be transferred to AirAsia. Refsa said that this sudden change – along with many others- to Firefly’s operations would ultimately affect the end user, resulting in less flights and passenger traffic. “Fewer flights means less work for airline crew and airport ground personnel, which leads to less employment and smaller incomes and less spending power,” the think-tank said, adding that this would also affect Malaysia’s tourism industry. It cited Johor Bahru MP Shahrir Samad, who raised concerns that Johoreans were stranded by cancelled flights, particularly after the controversial “collaboration” between MAS and local carrier AirAsia in August. Speaking of reduced traffic, Refsa said: “Passenger traffic at Subang Airport, one of Firefly’s main bases, has reportedly fallen some 30% in September, compared to July, before the ‘collaboration’,” Refsa said. MAS and AirAsia first announced its collaboration in August. The resulting move meant that the two airlines will swap shares, with Tune Air taking a 20.5% stake in MAS, and Khazanah owning 10% in AirAsia. Critics have blasted the move, calling it a bleak future for the country’s airline industry, with some claiming it will lead to a monopoly of local flight services. ROUTE CUT PROBLEMS: AirAsia X’s decision to axe its Kuala Lumpur-London route from March 30 is expected to affect over 14,000 Malaysian students pursuing their studies in the UK. LONDON: AirAsia X’s decision to axe its Kuala Lumpur-London route from March 30 is expected to affect over 14,000 Malaysian students pursuing their studies in the UK. Since the route’s inception in March 2009, the budget long-haul airline had been the first choice to many of them to travel home from the UK because of its affordable fares and good services. Chairman of the United Kingdom and Eire Council of Malaysian Students, Ahmad Syawal Hafriz Abdullah, said axing the routes would leave them with fewer choices, especially the ones that won’t hit their pockets. 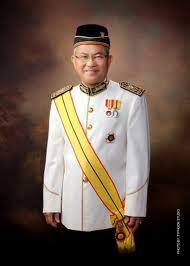 “Many of us look forward to join our families and loved ones especially during the festive seasons,” he told Bernama. A second-year student at the London School of Economics, said he hoped AirAsia X would lift the suspension and resume its flights to London soon. Malaysian High Commissioner here, Datuk Zakaria Sulong, said Malaysian arrivals had increased following the introduction of AirAsia X to UK. 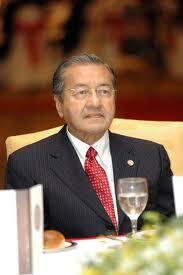 “These include Malaysian students in the UK who found going home during break affordable. “There is no alternative low-cost carrier from Kuala Lumpur. 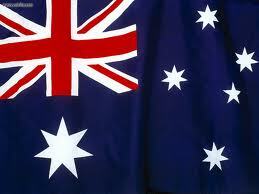 The movements of the people between the two countries will be affected due to the closure,” he said. Besides London, AirAsia X also announced it would suspend flights to Paris on March 31 and Mumbai and New Delhi on January 31. Akhbar Cina kurang ajar dengan Tun M, tidak dapat terima hakikat Anwar meliwat? Saya menyiarkan terjemahan artikel ini untuk menunjukkan kepada khalayak yang tidak tahu membaca bahasa Cina, agar mereka faham, sampah bagaimanakah yang dihidangkan oleh akhbar ini kepada pembacanya. Mungkin editor kena ikuti standard akhbar berbahasa Melayu dan Inggeris yang menyiarkan kritikan yang jauh lebih berkualiti dari tulisan ini. Mungkinkah jumlah pemikir yang menguasai bahasa Cina semakin berkurangan di negara ini sehingga pengkritik berkualiti sampah pun terpaksa diupah? Apa pun akhbar ini telah bersikap kurang ajar terhadap pemimpin ulung negara, Tun Dr Mahathir Mohamad. Keduanya, akhbar ini masih dalam sindrom penafian/denial syndrom kerana tidak boleh menerima hakikat bahawa mahkamah tidak menafikan perlakuan meliwat. Keputusan mahkamah rayuan 2004 juga tidak pernah menafikan kemungkinan berlaku perlakuan meliwat. Peguam Anwar Ibrahim, Karpal Singh dan Sankara Nair juga membayangkan ia berlaku. Malah Karpal mencadangkan bahawa ia berlaku secara Suka Sama Suka. Kes liwat Anuar Ibrahim telah dibuang case, tidak kira apa pula yang mahu disebutkan semua tidak terkata, sudah tentu ia tidak dapat menghalang ramai orang akan berfikir sejenak, ini adalah keputusan yang dibuat oleh orang yang bijak.Walaupun ada orang berkata, keputusan ini tidak memberi manfaat kepada BN, menyebabkan Pakatan Rakyat menang besar dan untung besar. Sedangkan kepimpinan ketiga-tiga parti gabungan Pakatan Rakyat boleh mendabek dada dan bersemngat tinggi menghunuskan pedang berteriak mahu masuk ke Putrajaya! Apabila Anwar Ibrahim dijatuhkan dengan keputusan tidak bersalah dan dibebaskan, dengan serta merta rakyat Malaysia peka terhadap satu lagi episod isu iaitu bekas pembesar kita, apa yang akan berlaku kepada Tun Mahathir? Dimana Tun Mahathir pernah berkata, jika Anwar Ibrahim jadi perdana menteri, beliau akan lari ke luar negara untuk menghabiskan sisa-sisa hidup. Dalam keadaan seperti ini, sebaliknya Tun Mahathir masih boleh bersemangat tegap seperti biasa, sebab itu beliau berkata kepada pihak media beliau rasa terperanjat, namun beliau melihat perkara itu seperti biasa apa yang dikeputusan oleh mahkamah, membuktikan bahawa tanggapan Pakatan Rakyat kes liwat adalah satu konspriasi yang berniat jahat. Calon Dari Kalangan Orang Melayu Tidak MencukupiWalaupun semangat pemimpin-pemimpin dari kalangan Pakatan Rakyat berkubar-kubar, mempaparkan sikap megah yang begitu tinggi, itu semuanya adalah kata-kata yang diluahkan berbentuk badan politik. Jika benar-benar UMNO tidak mengkajinya sebelum ini, tidak mungkin berani lepaskan harimau ganas keluar dari hutan? Walaupun dikatakan Anwar Ibahim itu sangat hebat, sebaliknya sokongan sejati dari kalangan ahli-ahli PKR sendiri sudah tidak memberangsangkan. Jika mereka kerahkan ahli-ahlinya membuat demonstrasi di jalanan, mungkin masih boleh lagi, tetapi jika mahu mereka tubuhkan kerajaan, letakan mereka-mereka itu di setiap organisasi kerajaan untuk mentadbir rakyat serta mentadbir keamanan negara ini, sudah tentu setiap jabatan dalam kerajaan yang boleh muatkan ahli-ahli mereka dari kalangan orang-orang Melayu bilangannya tidak mencukupi yang bagitu ketara. Jika jawatan-jawatan itu disandang oleh orang Cina dan orang-orang India, adakah orang-orang Melayu dalam PKR dan tiket-tiket undi orang Melayu yang menyokong itu setuju? Dalam tiga gabungan parti, PKR perlu ada calon Melayu yang mencukupi dan mempunyai orang Melayu yang boleh diharapkan dalam tugas-tugas itu, kini agak susah dicari. Jika orang-orang Melayu yang layak itu, mereka tidak ada dalam senarai pencalonan PRU, benarkah mereka masih bertenaga dan boleh lagi bermegah seperti PRU 2008, bolehkah lagi mereka buat sesuatu yang luar biasa di kawasan pengundi Melayu, bolehkah mereka lakukan sekali lagi minta Postman dan askar pencen untuk jatuhkan UMNO? Kali ini adakah sejarah itu akan berulang lagi? Kes liwat Anwar Ibrahim tidak menjadi, jika Tun Mahathir rasa kurang senang, langkah terakhir, Tun Mahathir boleh juga buat sedikit persediaan, pergi lari terapung di tengah lautan, tetapi beliau juga masih boleh seperti Lee Deng Hui (bekas presiden Taiwan) kekal di Taiwan, masih boleh beri tunjuk ajar kerajaan di Kepulauan Taiwan itu, membuat ribut dan kecuh. KOTA KINABALU: Syarikat Penerbangan Malaysia (MAS) diingatkan agar tidak melupakan tanggungjawab sosial mereka terhadap rakyat Malaysia khususnya Sabah. Pembantu Menteri kepada Ketua Menteri, Datuk Edward Khoo Keok Hai, berkata MAS mempunyai tanggungjawab terhadap Sabah dan Sarawak untuk mempromosi integrasi dengan Semenanjung Malaysia. Beliau berkata MAS juga kena membantu dalam pembangunan aktiviti perniagaan di Malaysia Timur khususnya industri pelancongan di Sabah yang mana telah berkembang dengan pesat dalam masa 10 tahun. “Saya sangat bersetuju dengan cadangan Menteri Pelancongan, Kebudayaan dan Alam Sekitar, Datuk Masidi Manjun, dan menyeru MAS datang ke Sabah berbincang dengan kerajaan negeri. “Adalah tidak logik kalau mereka tidak ingin adakan perbincangan yang sewajarnya dengan kerajaan Sabah. Sebagai syarikat penerbangan kebangsaan mereka tidak sepatutnya hanya bertindak berdasarkan keuntungan semata-mata,” katanya selepas merasmikan Pesta Tahun Baharu Tadika Chung Hwa, Penampang kelmarin. Menurutnya, jika MAS hanya bertindak berdasarkan keuntungan semata-mata tanpa menghiraukan tanggungjawab sosial mereka, maka syarikat penerbangan itu tidak ada bezanya dengan syarikat penerbangan yang lain di dunia. Edward menambah mungkin sudah tiba masanya untuk Sabah mengalu-alukan kedatangan syarikat penerbangan lain untuk memberikan perkhidmatan bagi laluan antarabangsa dan domestik. “Disebabkan MAS tiada bezanya dengan syarikat penerbangan seperti Dragon Air, Tiger Air dan lain-lain yang hanya berdasarkan keuntungan semata-mata, kemungkinan kedatangan syarikat penerbangan lain di Sabah boleh mencipta satu peluang persaingan perniagaan yang sihat dan ia juga baik kepada semua pengguna. “Jika MAS tidak dapat bersaing, maka itu atas sebab MAS sendiri kerana mereka hanya memikirkan keuntungan semata-mata dan bukannya tanggungjawab mereka terhadap masyarakat,” katanya. Edward berharap isu itu akan diselesaikan dalam masa terdekat dan beliau menyokong penuh pendirian kerajaan negeri dalam hal itu serta berharap orang ramai akan menyokong tindakan yang dibuat oleh kerajaan negeri ke atas isu berkenaan. Katanya, sebagai syarikat penerbangan kebangsaan, MAS perlu melayan penggunanya sebaik mungkin dan mengutamakan tanggungjawab sosial mereka. “Saya menyeru agar MAS memikirkan kembali strategi perniagaan mereka di Sabah. Seperti yang kita sedia maklum, semua pihak sentiasa memberikan sokongan tinggi kepada MAS. “Jika diberikan pilihan, kami sentiasa memilih MAS sebagai syarikat penerbangan utama. Oleh itu, janganlah menyatakan kepada kami dan semua rakyat Sabah bahawa MAS memberhentikan laluannya kerana ia mengalami kerugian dari laluan itu,” katanya. SIBU: Residents as well as leaders from different sides of the political divide are worried about the recent spate of murder cases here. Just two days after the burial of four members of a family who were killed in their home, yet another murder occurred yesterday. This time, a 42-year-old businessman was gunned down at about 10.30am at the entrance of an office equipment supply shop in Brooke Drive. 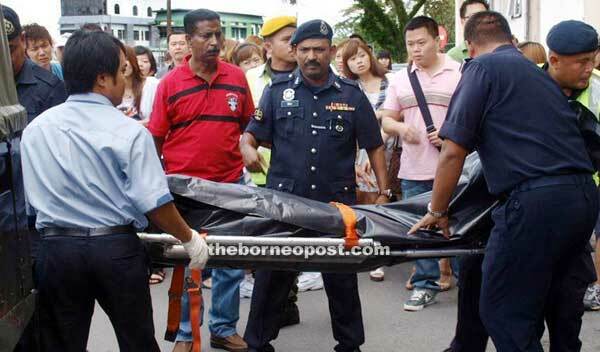 Last Oct 20 in Sungai Empawah across the Igan River, rubber smallholder Tiong Tang Ming, 69, his son Tiong King, 35, and daughter-in-law Teu Lee Meng, 32, were murdered while Tang Ming’s wife Peh Kim Eng survived by pretending to be dead. Traumatised: Lau’s mother being comforted by relatives at the scene. Some two months later on Dec 10, salon employee Chew Ming Chew was hacked to death while she was waiting for a ferry to return home at 8.30pm at the Tanjong Maling ferry point. Then last Tuesday, at between 7am and 7.30am, 36-year old businessman Ling Tong Hock was killed together with his son David Ling Chei Qi, 10, daughter Amy Ling Zi Jiun, seven, and his 76-year old mother Leong Nyuk at their home in 1H Lorong RTM13B. Another eight-year son, however, survived but suffered serious injuries to the head. Consumer Association of Sibu chairman Simon Tiong said following last Tuesday’s murders, residents here were living in fear. SIBU: A 41-year-old pub owner was shot at point-blank while entering an office equipment supplier's shop at Brooke Drive in yet another murder case in town. The mafia-style shooting yesterday was carried out in broad daylight with Lau Leh Ing taking 10 pellets on his back. In the 10.30am incident, Lau and a friend had just arrived in his new Toyota Land Cruiser. They were stepping into the supplier's shop at when he was hit. According to James Ling, the shop owner, Lau was shot in the back when walking behind his friend. “I heard the deceased shouting Aiyo! Aiyo!' before he collapsed by the door,” Ling said. Lau died while on the way to a private specialist centre from “one or two shots” that hit him. Several people patronising a coffeeshop across the road, apparently drawn by the shooting, rushed over. When words spread about the murder, the shop that sells mostly safe deposit boxes and weighing machines became a centre of attraction. 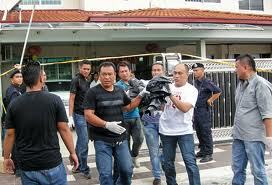 Police investigators together with some Rela personnel were seen combing the immediate area for evidence. Sibu district police chief ACP Shafie Ismail was tight-lipped when reporters pressed him for information. Bukit Assek assemblyman Wong Ho Leng and his Pelawan counterpart, Yap Hoi Liong, were among the town's bigwigs seen at the crime scene. With them was their DAP comrade Alice Lau. The victim operated a pub in Lane 1, Jalan Lanang here. 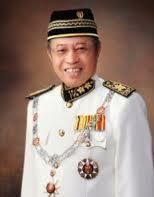 Last October, his residence in Jalan Salim was the target of a drive-by shooting. Lau's killing came hardly a week after the gruesome murder of a businessman, his two children and his mother. Police on Friday said they had solved the case with the arrest of the prime suspect, a 17-year-old neighbour, but did little to allay fears of folk against violent crimes in the town. State Commissioner of Police Datuk Acryl Sani Abdullah Sani said based on initial investigation, three men were seen leaving the scene seconds after the killing in a silver Proton Saga. Penang island only for the rich? Land prices are so high that the average working man’s hope of owning a house is fast fading. GEORGE TOWN: Owning a house on Penang island is fast becoming an impossible dream for the typical working class man, according to an official of the Malaysian Real Estate and Housing Developers Association. Jerry Chan Fook Sing, who chairs the Penang chapter of the association, said land prices were rising so fast that it would be naive to expect the state government to build houses on the island that low-income earners could afford.